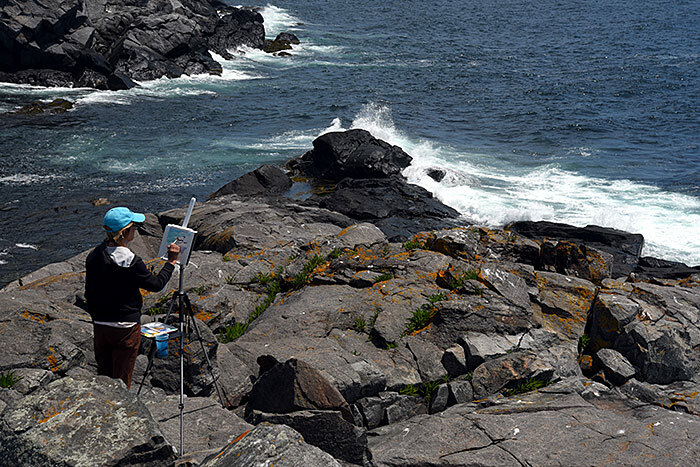 Gull Cove Midday, Monhegan was accepted for Ogunquit Maine’s Barn Gallery Regional Artists, Open Juried Show, 2016. 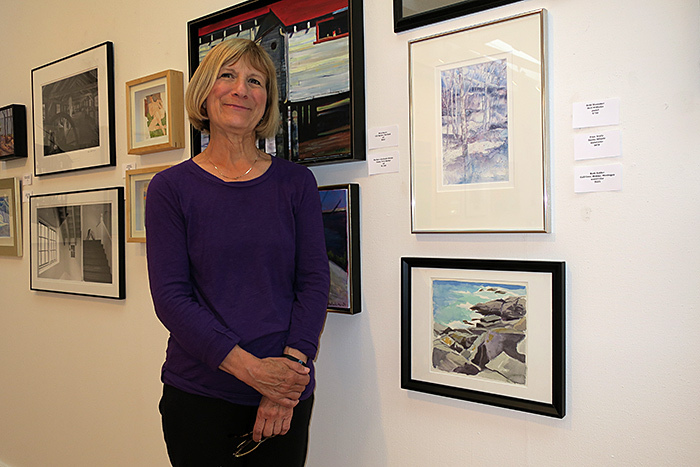 The exhibition is hung and open to the public during July. The gala opening reception is Saturday, July 9 from 5 to 7:30 pm. The exhibition runs until July 30th. 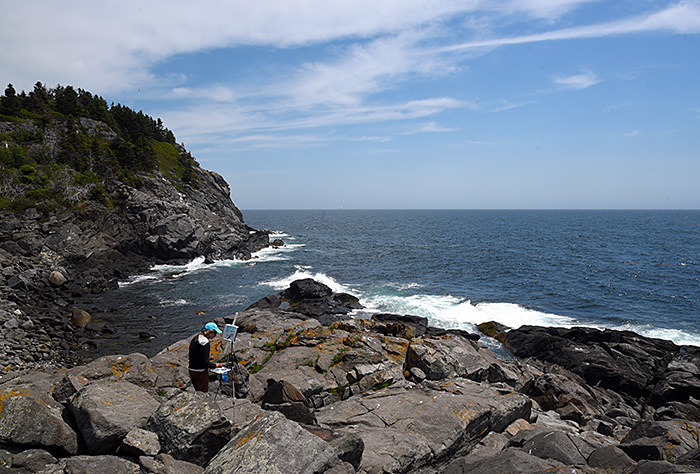 It was juried by Kristina L. Durocher, Director, Museum of Art, University of New Hampshire. Read about the exhibit and see the judging HERE. 169 works of art were submitted by 89 artists. 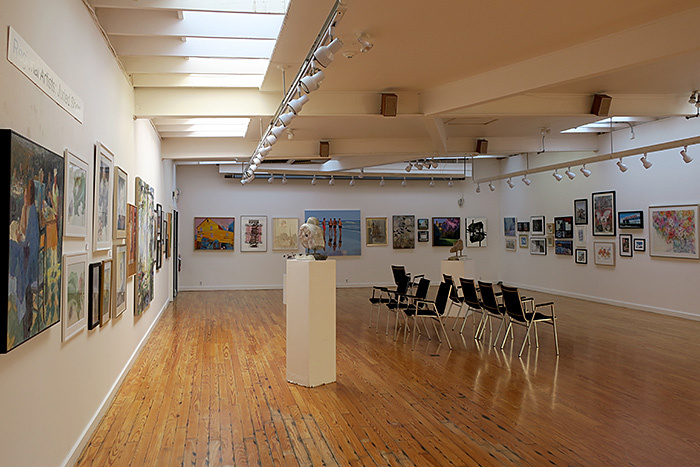 The exhibition showcases 77 works of 60 artists with prices ranging from $150 to $7,500. 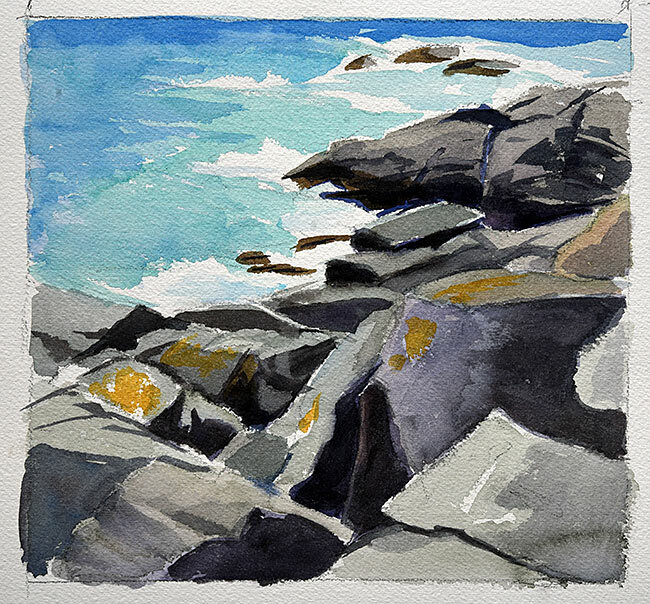 This is only available for sale during July 2016 at the Barn Gallery in Ogunquit Maine as part of the Barn Gallery Regional Artists, Open Juried Show, 2016. It’s $225. The Barn Gallery’s web site is HERE, and directions the the gallery are HERE. Lovely painting, Ruth! I particularly like the way you’ve done the water, such wonderful colors. Thanks so much Bobbi, I’m new to seascapes, so challenging!